Scott West® is the third generation of his family to work in the diamond business. His expertise in the rarest and most sought-after natural color diamonds allows him to offer the most unique treasures for under market prices. A rare collection of round brilliant Argyle Pink diamonds featured in a stunning necklace and drop earrings. Simply marvelous. Our skillful and inspired design team led by Scott West combine classic with contemporary. Every piece of jewelry in the Scott West® collection is designed and handcrafted to illuminate the unique qualities of a particular diamond or diamonds — ensuring that each piece is a singular work of art. 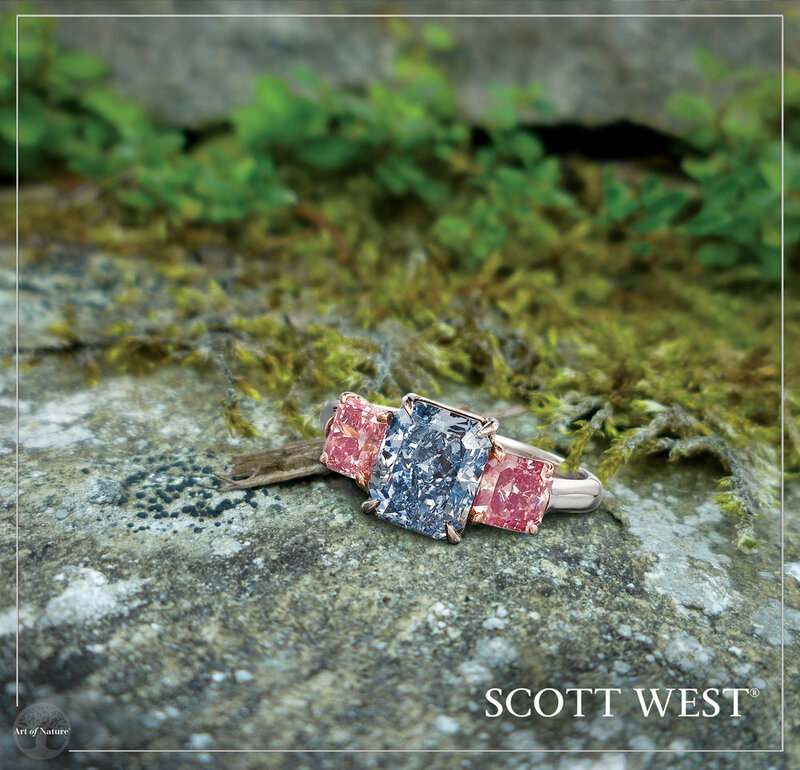 At Scott West, each design is a one of kind hand made jewel. Our master craftsmen have dedicated years of training to carefully prepare each design into exceptional works of art.